Dry and devitalised skin will benefit from the intensive nourishment of the Decléor Intense Nutrition skincare collection. 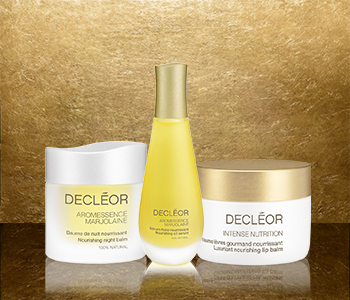 Decléor’s Intense Nutrition range harnesses the power of carefully selected essential oils and plant oils to provide intense nutrition to the skin’s cells, which help to balance and maintain moisture levels, whilst encouraging cell renewal, for skin that is strengthened and radiant. Expertly blended using some of nature’s most potent ingredients, Intense Nutrition products will bring instant relief and comfort to dry and tight skin.